Pierre-Yves Boelle is a professor in biostatistics at Universite Pierre et marie Curie (UPMC), School of Medicine, Paris, France. He holds a PhD in biomathematics from UPMC. 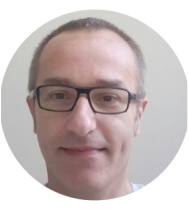 He is a member of IPLESP - Institut Pierre Louis of Epidemiology and Sante publique, the UPMC center for epidemiology, where he coordinates the team "Monitoring & Modelling of Infectious Diseases". His research focuses on understanding transmission of pathogens in populations, especially using mathematical and statistical modelling. In recent years, he worked on emerging diseases (influenza, MERS-CoV, Ebola, Chikungunya and Zika) and on common pathogens (chickenpox; nosocomial infection). ​Alain Barrat obtained his PhD in theoretical physics at the university of Paris VI (France) in 1996. He then spent two years at the Abdus Salam ICTP in Trieste, Italy, as a postdoctoral fellow. In 1998, he entered the National Council for Scientific Research (CNRS) of France with a permanent position as junior researcher. He spent 10 years at the Laboratoire de Physique Théorique at the University of Paris-Sud. 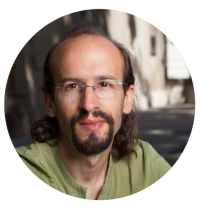 He is currently CNRS senior researcher at the Centre de Physique Théorique in Marseille and research scientist at the Institute for Scientific Interchange in Turin, Italy. Since April 2014, he is also vice-president of the Complex Systems Society. His research topics concern interdisciplinary applications of statistical physics, mostly in the context of complex networks studies, and in particular towards epidemiology and computational social sciences.